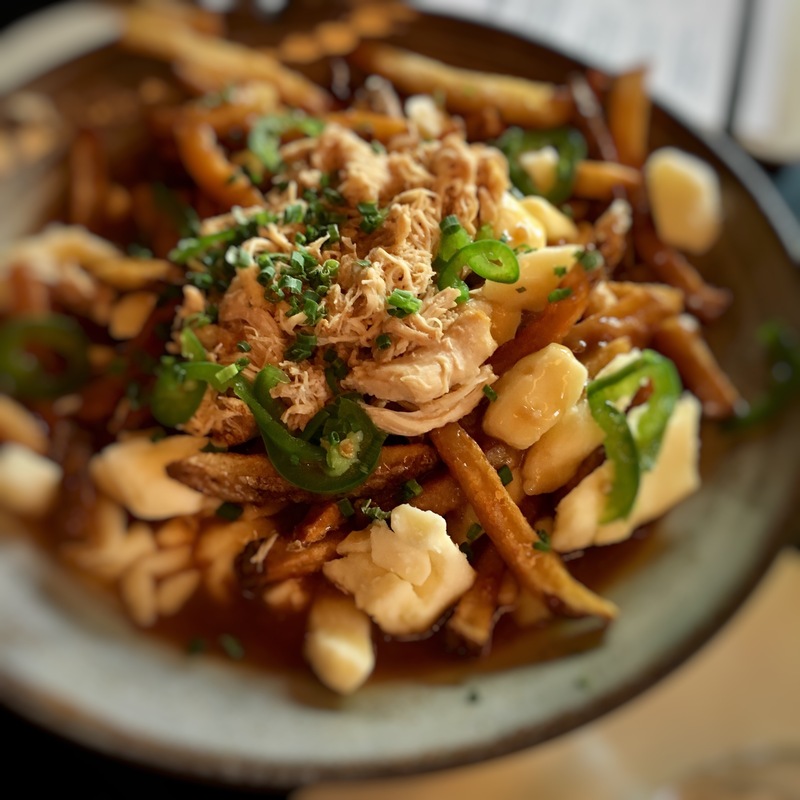 A couple of weeks ago I finally made it to Bird Bar in Griffintown. 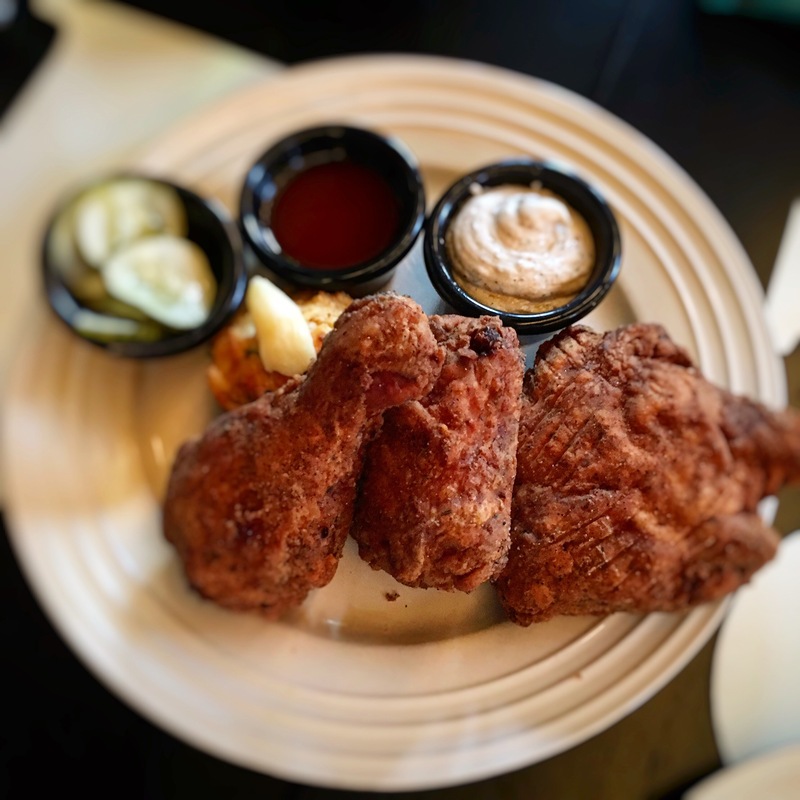 The place is known for their fried chicken and champagne. I was there with a few friends on a Friday night and we all agreed that the ambiance was great. Decor is airy and bright and the DJ was playing some good music and that’s always a plus. We decided to start with sharing some appetizers to get to try more of their dishes. 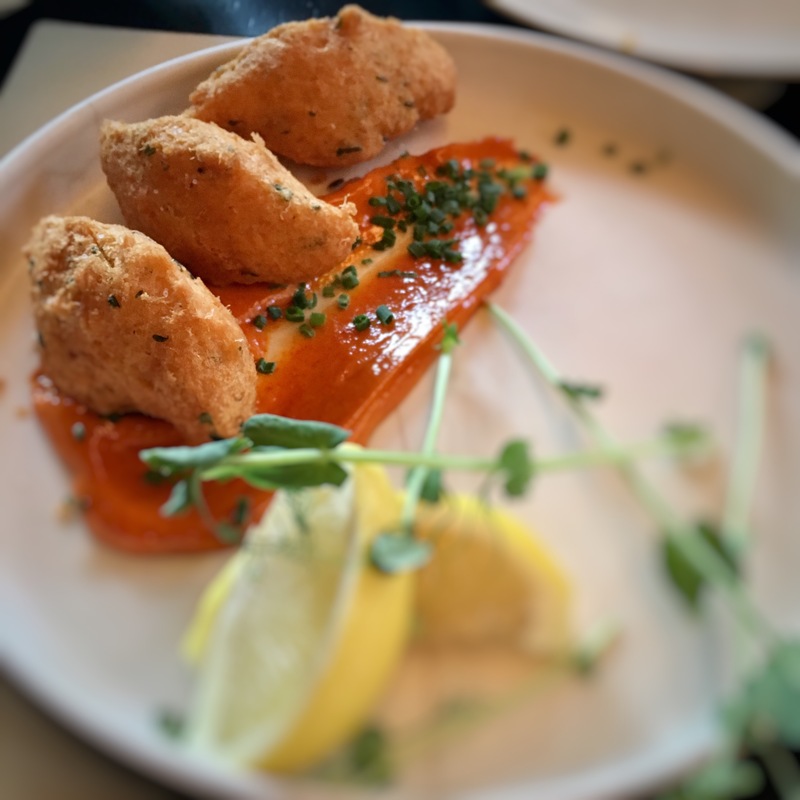 They have quite a few choices on the menu but we all agreed on , the popcorn chicken, the Bird Bar Poutine, the cod croquettes and the fried chicken skin Caesar salad that was not on the menu. If you’re the type to eat the skin first off your chicken and if it’s available you’ll love the Caesar. 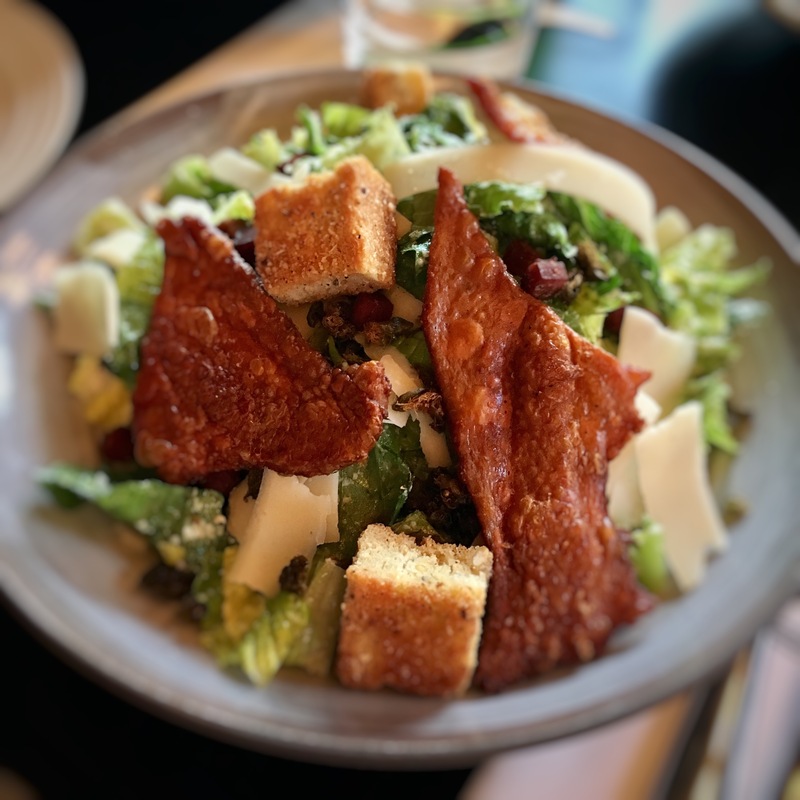 That crispy chicken skin with large croutons and big Parmesan shaving was actually very good, I was skeptical on ordering salad but that was a good choice. 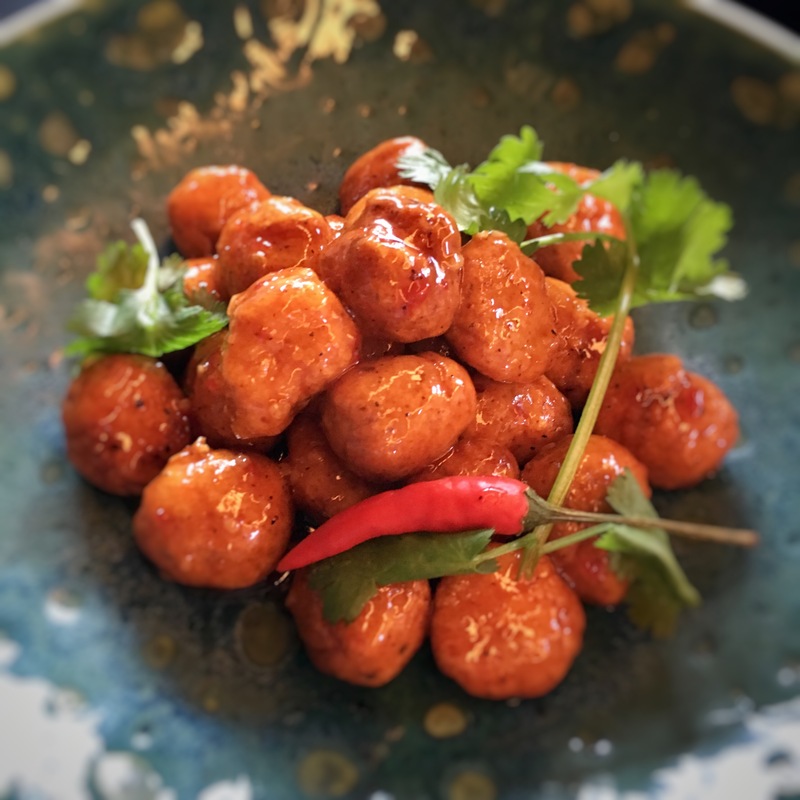 The popcorn chicken served in sweet chili sauce was also good, I really like that fact that they were perfect bite size. I also like the cod croquettes served with smokey citrus mayo but I have to admit that my favorite was the Bird Bar Poutine. Nice pieces of chicken and the sauce really taste like it was made with a chicken broth base instead of the regular brown sauce. We obviously needed to try the fried chicken so we ordered the ” Get In Ma Belly” a 3 pieces of fried chicken dish. 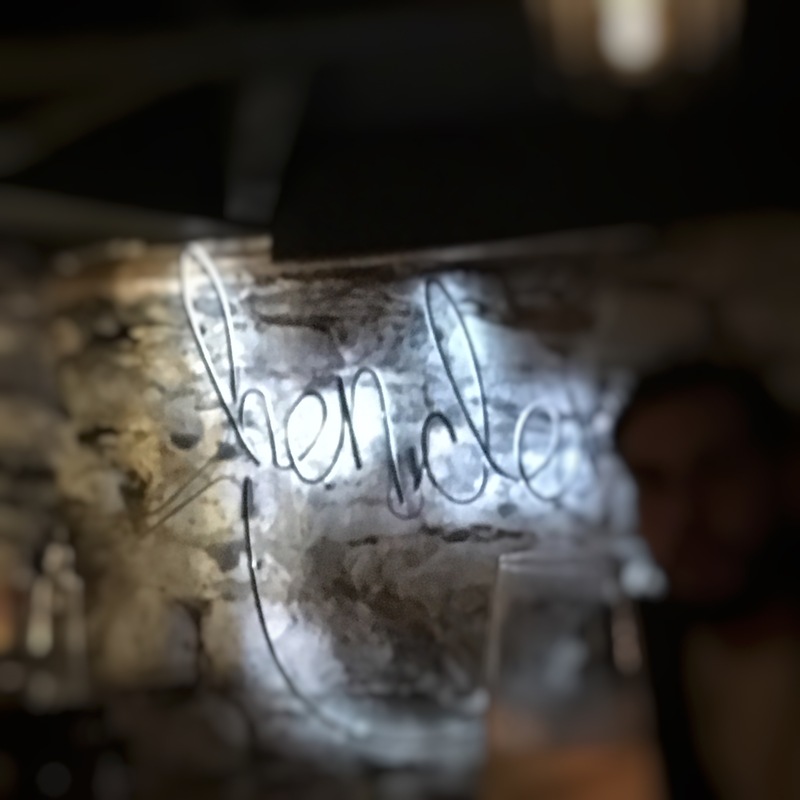 If you want to have a drink after they have a bar but you can also go downstairs into the Hen Den for a few cocktail in a speakeasy ambiance. They also serve food there but you’ll have to eat on coffee tables sitting on couches.